Among the Innocent: A Stricken Tale takes place in The Free State, a province of South Africa. I had traveled there myself, was well acquainted with its scenery, and was looking forward to experiencing it in an adventure game. After all, few titles, mainstream and indie confounded, take place on South African soil; fewer yet bring its rural culture to life. By the same token, I was also skeptical: the Free State’s fertile soil and its pleasant climate made the region a thriving region for the country’s agriculture, and consequently, a cultural epicenter of African life. Now home to tens of thousands of farms and most of the country’s grain, its national significance meant the challenge of capturing the beauty inherent to its way of life would be one that, a priori, would be most challenging to meet – for any artist. It’s a challenge Zero Degrees Games meets. 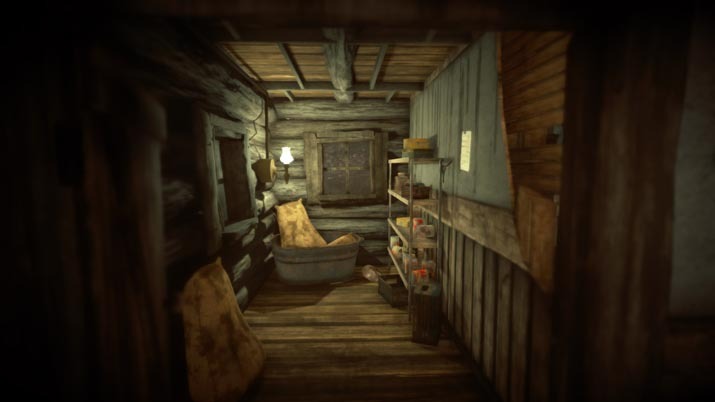 Point-and-click games most often take place in fictional settings, so as to immerse players into a fantastic adventure perhaps, but also because independent productions are most often their creators, and, due to the fact that they work with smaller teams, timeframes, and budgets, they avoid altogether the demanding research and production required to recreate lifelike environments. Zero Degree Games, however, chose otherwise, and Among the Innocent is a reward. A beautiful experience, its ambient is akin to those found in the great literary works of the region. While its open spaces will satisfy the explorer in us all, ultimately it’s the game’s details that make for its poetry, its charm and realism, as everything from bricks to flowers are true to the South African experience, the additional touch of a studio’s artistry excluded. How welcoming the latter is too, as Zero Degree Game’s perspective only added to the beauty of the region’s bright landscapes and warm sceneries. Among the Innocent starts you up in a farmer’s house, a dilapidated one that, because of its dire state and the human remains scattered around, is an adequate environment for gory thrillers in rural settings. Empty picture frames. A grotesque discovery in the basement. Blood stains. You’ll wonder what went on, and you’ll grow tense anticipating what could come your way. To build on the suspense and tension driven by the crumbling and mysterious nature of this so-called “home,” an exceptional soundtrack and spooky sound effects make your situation feel all too real. The dust floating through open gaps of the farm’s wooden walls feels almost breathable, as it often is in the harsh summer environments of South Africa. Then is the storyline of Among the Innocent: A Stricken Tale. Concerned by spoilers, it isn’t something that I can unveil aside from the premise: you take on the role of Peter York, a writer who’s had a brutal argument with his girlfriend, Stephanie. It’s very well written, and helping Peter escape is well worth your trouble in light of the scenario’s superb ending. In sum, if you’re the type to enjoy story-rich games, you’ll certainly appreciate Among the Innocent’s many discoveries. Roam around a few instants and you’ll surely meet the point-and-click mechanics of Among the Innocent. Cupboard-opening and item-plucking sessions are many, and thankfully, how you interact with the environment is well done. It also requires some creative thinking. 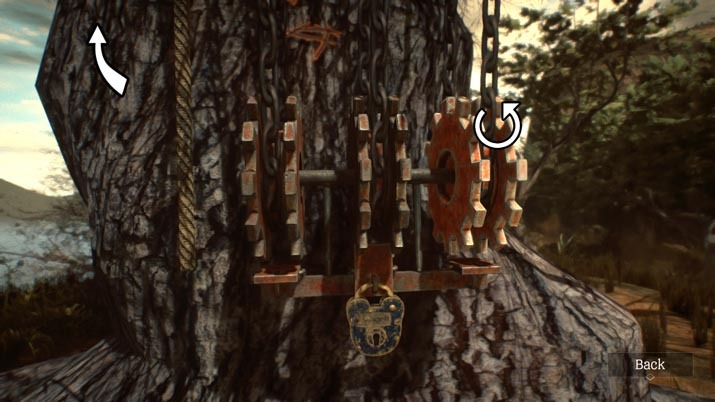 Jumping on an old couch breaks it, and [minor spoiler] using coins unwind screws that unlock doors while wood picked up can be used to make fires at whim. Unfortunately, puzzles may be entertaining but they’re also disappointing in terms of difficulty. 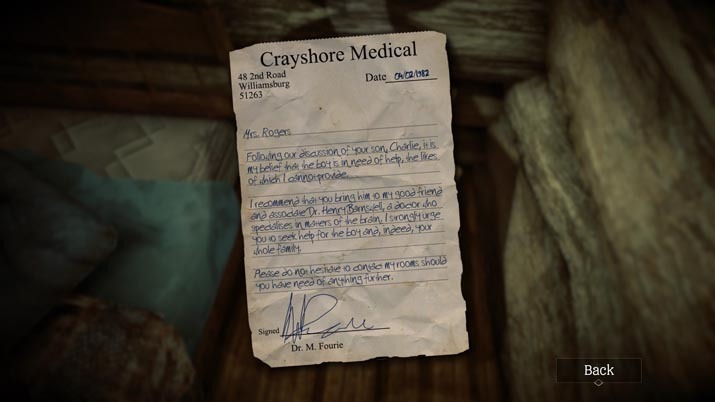 Hints given when stuck don’t help create a challenge, and even though the story alone makes the experience worth a go, puzzle-solving is an essential element that makes for good gameplay in point-and-click games. 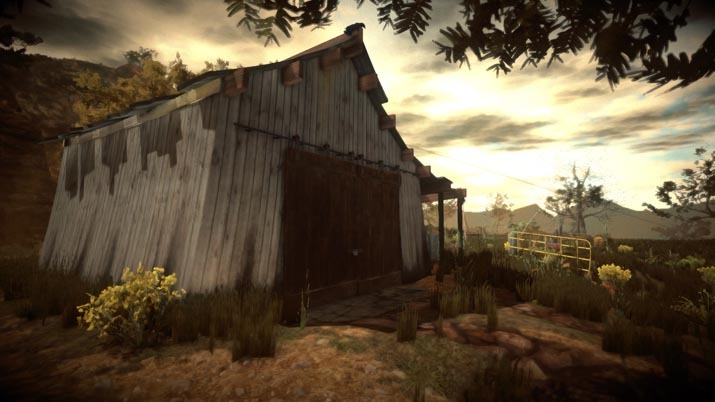 A beautiful, mysterious adventure and an artistic take on the rural scenery of South Africa, Among the Innocent: A Stricken Tale is a thriller for lovers of the point-and-click genre. Its good story and the great twist that ends it, coupled with immersive visual design, soundtrack, and sound effects, make its lack of a challenge its only weakness, but not one damaging enough to take away from the overall experience. Born and raised in South Africa, Tsepiso moved to America 6 years ago and got acquainted with computers games in 2010, after being a PlayStation console aviator for years. He became a U.S. citizen last year, making him a dual citizen, and spent quite a bit of time in London. Tsepiso started gaming on the PlayStation 1, Grand Turismo being his favorite pick. Afterwards, he crossed the gaming console world and jumped into the world of PC. That’s when he realized he’s an enthusiast of almost every game genre.